As the Pirelli World Challenge (PWC) looks ahead to the final three races of the 2017 season, Flying Lizard Motorsports is preparing for this weekend’s Grand Prix of Utah for Rounds 13 and of the GTS championship. Based at the foot of the mountains in Tooele, Utah, Utah Motorsport Campus sports an impressive 24 turns in its 3.048 course. The track sits at an elevation of 4,400 feet, which is a stark contrast from the other tracks the Pirelli World Challenge visits. 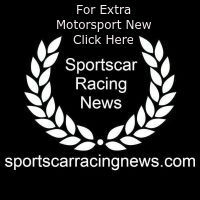 The decreased levels of oxygen in the air will affect the naturally aspirated engines in the field, including Flying Lizard’s pair of Porsche Cayman GT4 Clubsport MRs. However, this will help the turbo cars in the field, presenting the PWC officials with the task to properly adjust the Balance of Performance (BOP) to ensure the level of competition is equal across the field. As with most of the tracks on the 2017 calendar, this will be Rodrigo Baptista’s first time at Utah Motorsport Campus, but the young Brazilian has spent ample time preparing for the event at a simulator facility. Nate Stacy, who has shown continued progress over the course of the 2017 season has competed here before, placing 2nd in 2016. Flying Lizard holds a history of success at the track formally known as Utah Motorsports Park, earning two wins and three additional podium finishes in five years of competition at the track. The Grand Prix of Utah will begin on Thursday, August 10th with a promoter test day, followed by two more days of practice and qualifying. Race one takes place Saturday, August 12th, at 3:00PM Mountain Time (UTC-6), and race two will begin Sunday, August 13th at 10:30PM MT. Both races will be streamed live at http://world-challenge.com/streamvideo. 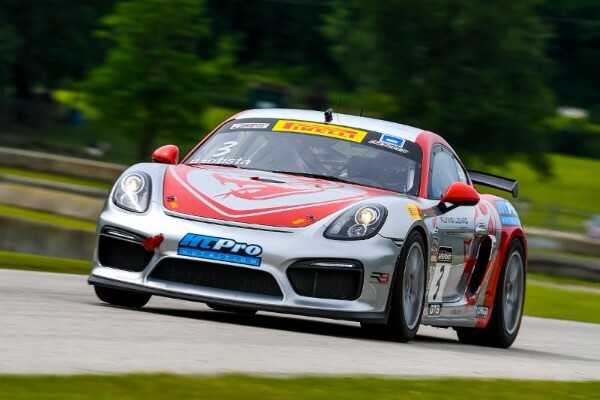 I’m ready to get back to business in the Pirelli World Challenge with my Porsche Cayman GT4 Clubsport MR. Mid-Ohio was a good weekend, and I think we made a bit of a break through. I’m excited to carry that momentum into Utah. This coming weekend will be an interesting one for us, the track layout is good for our type of car but the with higher elevation, the power will be reduced. It is going to depend on which car is affected the most. The team is working well and both Nate and Digo have done a great job this season. Currently Nate is only 20 points out of 3rd for the Championship so we still have an opportunity to get there.